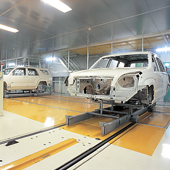 Tsubaki provides materials handling systems for automotive factories in Japan as well as for overseas automotive factories. 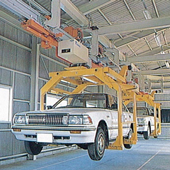 Both in Japan and abroad, Tsubakimoto Materials Handling Systems are highly appraised. 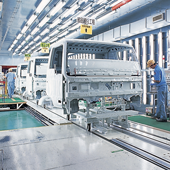 If your company is planning on increasing, modernizing or rationalizing your manufacturing capabilities, please feel free to contact us. 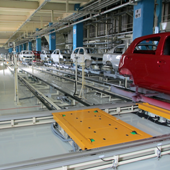 We are ready to dispatch our experienced layout engineer and electrical technicians to help with your enquiries.